Online shopping is possibly one of the best things that have happened in the last decade. From its inception to its current state of being an industry, online shopping has come a long way. The online shoppers can now view a product, check & compare prices, read & write reviews and place an order all from the convenience of their home. In an ideal scenario, the customer places an order and the e-tailer ships it. However, that is not the case and is definitely not that simple. One of the main differentiators in the eCommerce industry is shipping. There are many different things to consider because of changing customer expectations. There are customers who yearn for instant delivery (although instant delivery is not possible, many e-tailers provide same day shipping). In addition, customers, because of their good or bad experience, want to choose a specific carrier. And there are additional things like packaging, cost, etc. Free shipping (Shipping Cost) – Shipping cost is one of the primary reasons for shopping cart abandonment. According to a Forrester study 44% of online shoppers who abandon their shopping cart, abandon it because of high shipping costs. Moreover with increasing competition, the two words free shipping can be the difference between a visitor and a customer. Shipment Tracking – Customers want to know the exact whereabouts of their order to understand how soon they will receive their order. Giving them the option to track the order is the best way to enhance customer satisfaction. If you find it expensive to integrate a tracking system, consider alternatives like emailing the customer at every stage of shipment. The main objective is to keep your customers informed. Packaging – Although most e-tailers overlook it, packaging plays a crucial factor. Think about it, packaging might not mean anything to you, but for the customer it could mean everything. It is the first thing that catches their eyes and contributes to your brand and customer experience. Moreover, bad packaging can lead to a bad review which can then further impact your sales. Minimize Returns – Returns are never good for a business. They not only have a negative impact on company’s profit but are also an indication of customer satisfaction. Customers will always return a damaged product without giving any second thought to it. Hence packaging your product right and choosing the right shipping partner could be the difference between a happy customer and a returned product. Charging customers for shipping; by keeping them informed about the associated costs and delivery time. Provide free or discounted shipping by including the delivery costs in to the product pricing. Offer free or discounted shipping over a certain order value. A good way to increase the average order value per customer. Offer free or discounted shipping with hope to gain customer loyalty; which in turn has an impact on your customer life time value. In other words let increased sales compensate for the lost margins. Minimize Losses – Imagine this, you are merchant who often ships product in bulk or quantity and all your products, more often than not, are packed as a single unit. If the products are not packaged right or packaged right but not handled currently (by the shipping carrier) there is no way for you to guarantee how many units of those will reach the destination. We have heard a number of horror stories where products never (or not the expected quantity) reached their destination. 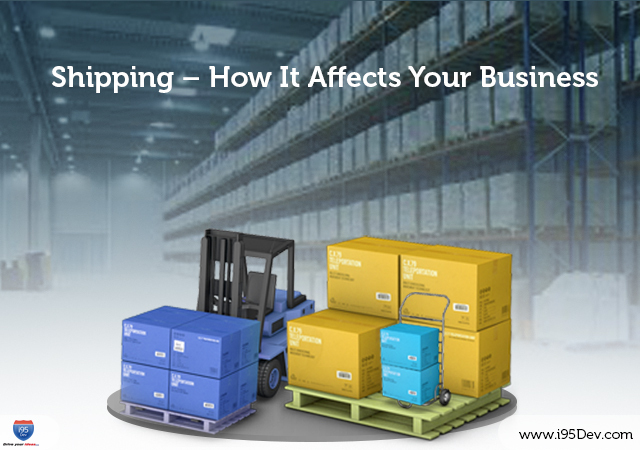 Hence choosing the right shipping partner can also help you minimize losses. Share your feedback and suggestions by commenting below.